Your team needs to be able to manage your digital presence. Effective management of your digital presence is fundamental to your ability to grow and implement your business strategy. It is also fundamental in helping you optimise daily marketing and budgets. Without an appropriate content management technology, your ability to deliver services to your customers is at risk. We help you to assess what you need to effectively manage your digital presence. Selecting a CMS can involve tough choices. We provide clarity on the nuances that differentiate CMS products. We demonstrate the features, security and scalability of these products and we support you in the selection of an appropriate platform for your business. Once a suitable product has been selected, we work in collaboration with your business, IT and marketing teams to design, build and rollout your digital presence. A successful implementation offers a suite of intelligent tools that enable your team to manage and deliver a personalised experience directly to your customers anytime and on any device. Our role is to ensure your implementation is a success. We are committed to best-in-class content management systems and deliver solutions using Microsoft .NET and open source technologies. For more information on which CMS is best suited to your needs, contact us on 01-9052030 or Get In Touch. 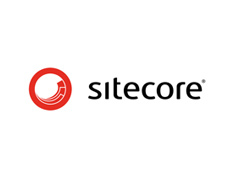 Sitecore deliver web content management and multichannel marketing capability to global brands and companies. Sitecore is recognised as a leader on Gartner’s 2018 Magic Quadrant for enterprise web content management and digital experience platforms. Kentico is an all-in-one CMS, E-commerce, and Online Marketing platform that drives business results for companies of all sizes both on-premise or in the cloud. It gives customers and partners powerful, comprehensive tools and customer-centric solutions to create stunning websites and manage customer experiences easily in a dynamic business environment. The Kentico Web Content Management Solution‘s rich selection of out-of-the-box web parts, easy customizations, and open API, quickly gets websites up and running. When combined with the full set of integrated solutions, including Online Marketing, E-commerce, and Intranet and Collaboration, Kentico fully optimizes the digital customer experience across multiple channels. Kentico is used by more than 25,000 websites in 100 countries. We are a Kentico gold partner. 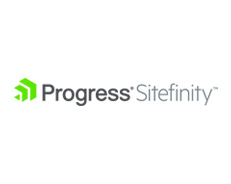 Progress® Sitefinity™ is a content management and marketing analytics platform designed to help businesses maximise the agility needed to succeed in today’s rapidly changing digital marketplace. Progress is recognised as a challenger in Gartner’s 2016 Magic Quadrant for web content management systems (WCM) report. We are Sitefinity platinum development partners. WordPress powers over 25% of the websites on the internet. 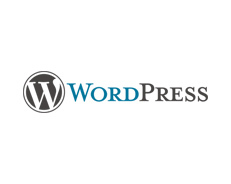 WordPress is an open-source content management system with an extensive community developed plugin architecture that allows business to extend the features and functionality of their websites.